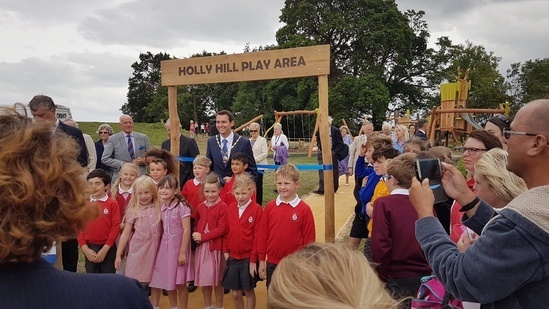 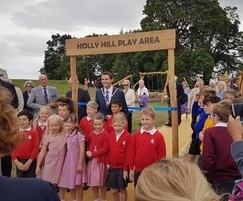 Two schools got jolly lucky and had first use of the brand new adventure playspace at Holly Hill Leisure Centre recently. 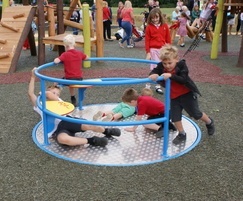 Officially opened by the local mayor on 21st July 2017, children from Sarisbury Infant & Junior Schools and Park Gate Infant School were thrilled to be invited to try out the new equipment at the park, courtesy of eibe Play and Fareham Borough Council. 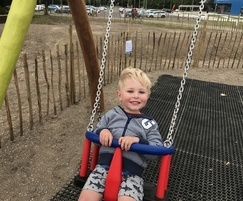 Working in conjunction with Emma Watts, Leisure & Community Manager, eibe won a competitive tender process earlier in the year. 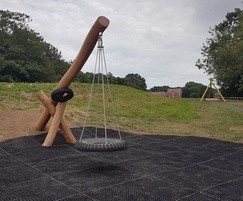 The project then centred round a host of robinia equipment. 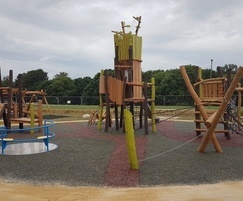 The traditionally metal playground has been transformed into a more natural wonderland with plenty of wooden play products. 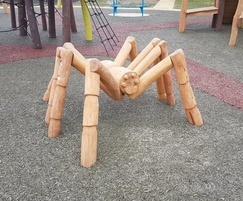 The centrepiece is eibe's Spirit of the Wood unit, which unsurprisingly was what the youngsters all sprinted towards, as witnessed in the video below.